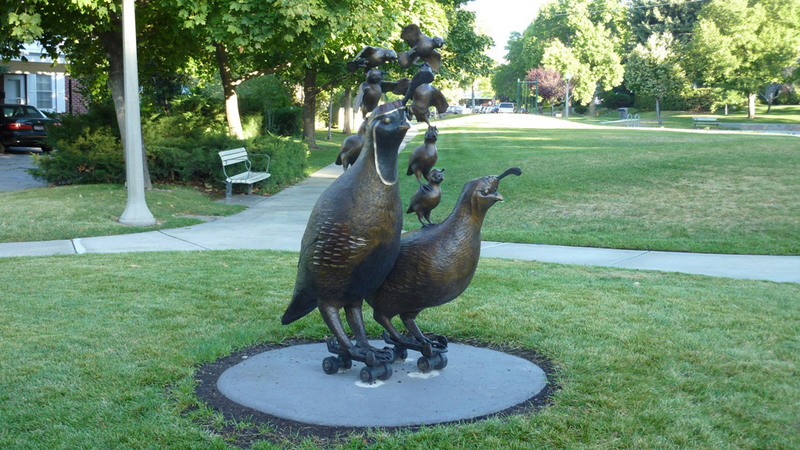 The sculptural subject of Gambel’s quail reflects the commitment of Ione McKean Davis to the preservation of open space in the urban environment. 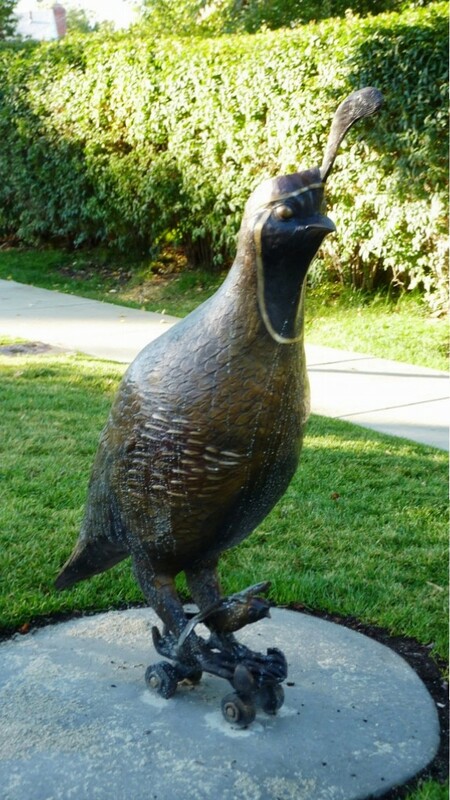 Coveys of wild Gambel’s quail can be seen throughout the neighborhoods of Salt Lake City. Recognizing the wild presence of quail in the urban landscape affirms an appreciation for our fragile local ecosystem and the importance of urban open space. Gambel’s quail are identified by their tear-drop shaped topknot, the distinct black patch on the chest of the buck, and the scaly plumage on their undersides. As ground birds in an urban environment, Gambel’s quail primarily move about by walking and can move surprisingly fast through brush and undergrowth.